The owner of the domain www.generalinsurance.es offers this service as an external collaborator of Proyectos y Seguros, S.A. Brokerage Insurance with key J0067, pursuant to what is established in art. 8 of Law 26/2006 of July 17, on insurance and reinsurance mediation. If you want to hire any service offered by ASEFA Insurance you can call our customer service for a no-obligacion personalized quote with the ASEFA Insurance company and with almost any other insurance company that you decide. Call now at 91 756 71 08 and request a free, personalized study in English. If you would like to be contacted by a specialized dealer of ASEFA insurance, click on the following link and insert your name, telephone number, select the ASEFA insurance in which you are interested and in a few moments a specialized salesperson will contact you to inform you free of charge of the selected service. This company was created in 1972 as Asefa S. A. Insurance and Reinsurance. It has more than four decades serving the insurance sector in Spain. This is mainly linked to building-oriented insurance that stands out and has pioneered the introduction of ten-year guarantee insurance in Spanish territory. Its strengths are Transparency at all times of insurance contracting, quality of the relationship with mediators and clients, Solvency both technical and financial, Strong relationships (among employees, clients, mediators, collaborators and suppliers), Honesty and respect. Damage Insurance of Construction Machinery: This insurance ensures any type of damage to machinery that its destination is to work in buildings or civil works during the time span that the machine is used in the construction of the work. Includes damages due to internal causes (errors in calculation, design or assembly, defects in the casting of construction material, labor and use of defective materials, faults in the control, regulation and safety measuring devices), Fire by cause (Fire, explosion, handling errors, theft, landslides, blows, rollovers, etc.). It offers you the value of another new product of the same class and capacity. And your hiring can be annual or temporary. Decennial Damage Insurance: This type of insurance protects you against any material damage to the building (caused by defects that arise in the foundation, supports, beams, slabs, load walls or other structural elements). Among its advantages are the compensation or rapid repair of buildings, as well as the protection of homeowners and insured in case of loss. Triennial Rehabilitation Insurance: This type of insurance covers the material damages that can be produced by interventions associated with pre-existing properties. Mainly oriented to the builder to offer jobs to their clients that are backed by insurance. It offers a new execution of works due to errors of conception, design, defect of materials or execution of the same, demolition, scrap and restitution expenses. The duration of this policy is three years from its hiring. RC Insurance Autonomous and Microenterprises: This insurance protects the micro and self-employed that are located in the construction sector before any third party claim. The requirements are that you must bill up to 400,000 euros and have at least 4 employees maximum. If you wish to leave your valuation according to your experience with insurance company ASEFA Insurance you can rate it from 1 to 5 stars. 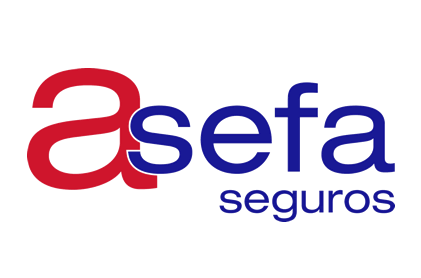 ASEFA offers insurance in all Spanish provinces. From www.generalinsurance.es/asefa.html of Grupo Seguros Generales, we are not responsible for the comments, ratings or opinions made by www.generalinsurance.es/asefa.html users about ASEFA Seguros, whether positive or negative. We understand that everyone is free to express their opinion as long as it is carried out with education, legality and without failing the truth and experience received. To make a comment on ASEFA you must be logged in to Facebook and you will be solely responsible for your opinions and ratings.